Growing up my dad wasn’t an avid fisherman or hunter. He would go hunt occasionally, and we would go fishing in the pond behind our house, but it was never a lifestyle for him. So when I started dating my husband, I was immersed in a lifestyle that was centered around fishing and hunting. Let me tell you, it was a major change for me! First off, fishing and hunting takes a lot of time! The first time he tells you he is going fishing, you think, “okay, he will be gone a couple hours or so”. Nope! I’m going fishing is code for, “I am leaving at 4:30 am to drive to the lake by sunrise and I will be gone until dusk.” And that is the exact same line you get during hunting season. Good part is, you get a free day all to yourself! However, when it becomes an every weekend thing, sometimes you go with him just to spend some time together! The next thing you learn is that fishing and hunting are very expensive hobbies! I had no idea the amount of lures, rods, scopes, guns, ammunition, clothing and many more things that are needed to accomplish these hobbies. My nights now consist of watching my husband look up new fishing and hunting techniques, videos on new gear coming out and showing me the boats and land we will be acquiring in the future. Although there are things about my husbands hobbies that are a huge lifestyle adjustment, one thing he always does is he is so considerate of my feelings. He always asks to make sure I don’t have plans for us before he goes out and he always invites me along if I want to go. Never once has he said I couldn’t go or that I had to stay home, he always encourages me to come along or do something I enjoy while he is gone. While fishing and hunting are expensive and time consuming, I could think of worse things my husband could do. 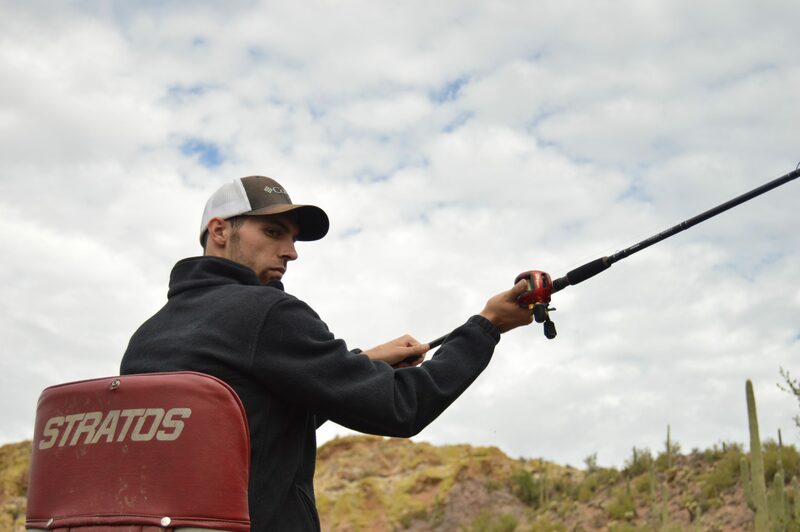 Fishing and hunting ground him, help him to relax after a stressful week and really connect him with the Lord. So my advice for spouses of an avid fisherman/hunter, count your blessings! You love a wonderful person with so many amazing qualities and interests!